Take pride in your promotions in the Lone Star State when you print Austin Star Club Flyers and advertise your next Bat City event in advance. 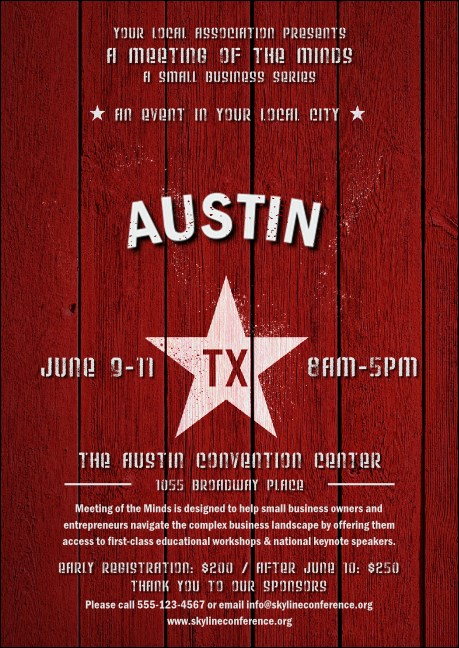 Add a little Texas heat to your event advertising with Club Flyers that feature a red and white background design with an urban street-art look. Get to the center of great Texas advertising at TicketPrinting.com.